I couldn't get my pictures to upload to my computer last night...very frustrating. I wish I would have thought to reboot my computer, that always seems to fix everything! I can't tell you how many times at work I've had computer problems so I call our help desk and they have me reboot my computer and the problem goes away...how come I never remember that! Anyway, I brought the camera to work and I was able to get it to work here but I think my daughter while she was trying to help me last night must have deleted my pictures on the camera. It just has some test shots we took to make sure it wasn't the camera that was broken. I wanted to show you the salt and pepper shakers I bought at a thrift store last week so I'll try to take some more pictures of those tonight. 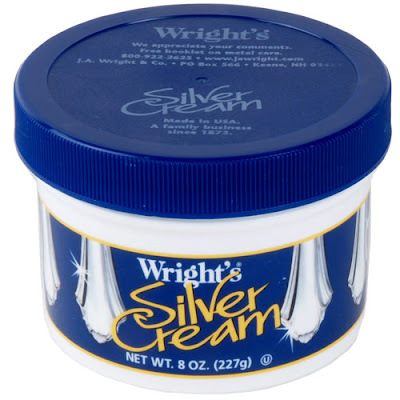 I use Wright's Silver Cream which I buy at the grocery store. There are times when I'll gather up all the silver around the house and polish it all at once but most of the time I'll just take 2 minutes to polish a piece each week as I'm cleaning house. I love it that you post daily. I always look forward to it. We're in the middle of a tornado watch with ferocious winds, so I'm signing off, but I had to check out what you'd been doing! Love the photo of the office. That's a cool picture hanging there, and the roses... lovely. 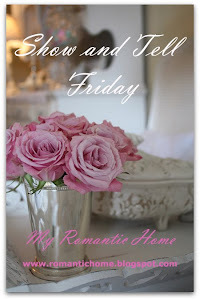 my day to be able to see the posted pics on my favorite blogs. 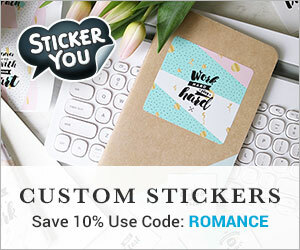 I love your daily posts! It's stopping and smelling the roses! I'll have to try the Wrights. I've not been too happy with what I've been using. Before I had my first child, I worked at a museum. We polished silver (sterling and plate) by dipping it in a bath made from boiling hot water, aluminum foil, salt, and baking soda. The combination causes a chemical reaction that safely separates the tarnish from the silver. You can Google "aluminum foil and silver" for better directions- I'm not very exact. I just toss in a couple of tablespoons of each- the more the better. I can drop a flatware service for 12 in my plastic bucket and polish it in about 15 minutes. Comes out like brand new. Give it a try!